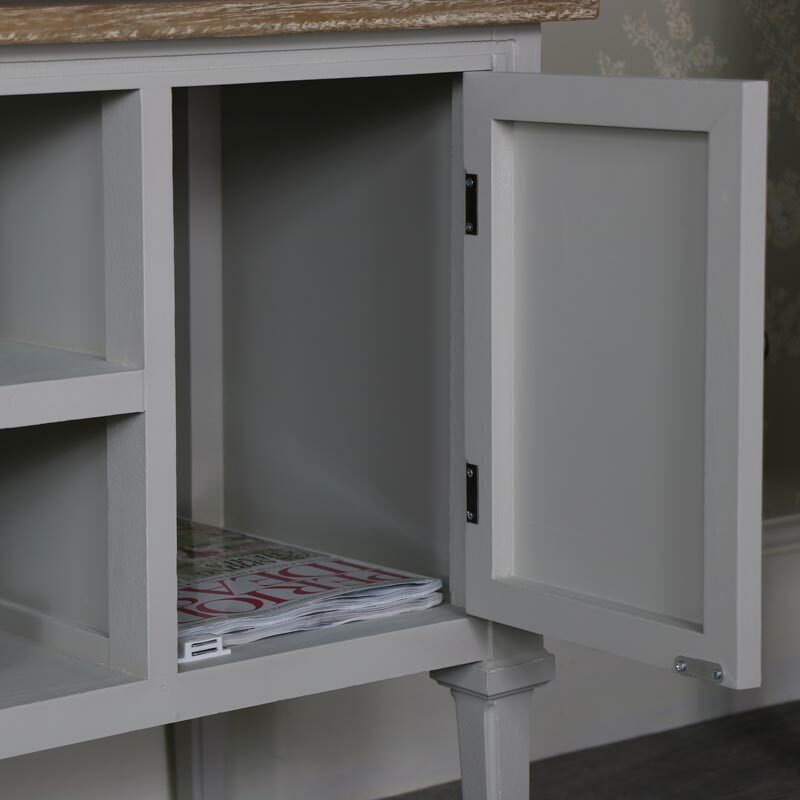 This is our Stanford Range TV cabinet, stunning vintage grey living room furniture. In a large design with space for media storage. 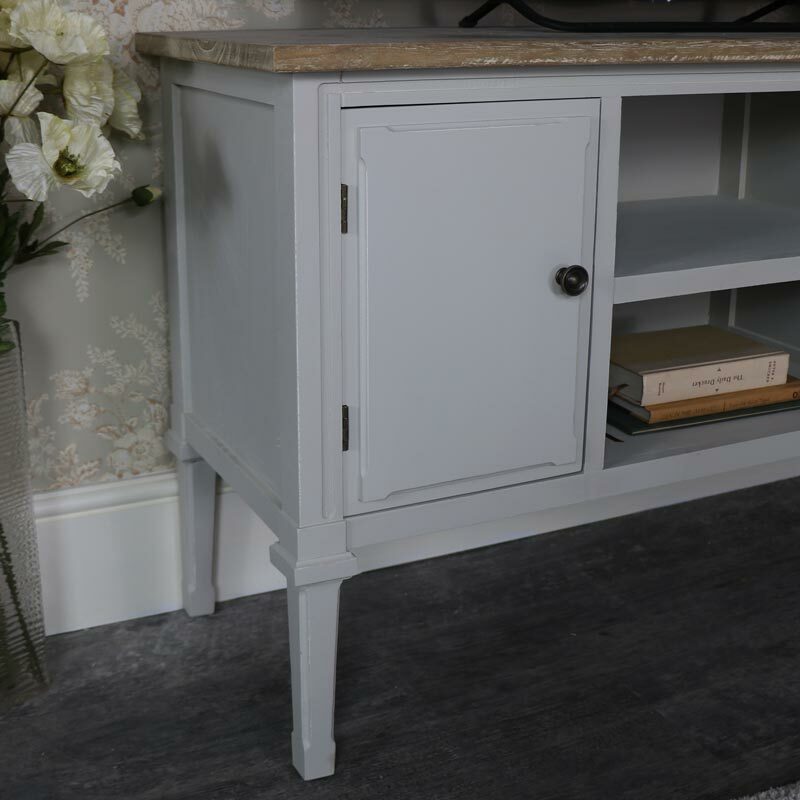 With hints of shabby chic this TV unit will add a vintage, modern feel. Featuring clean and clear lines that make this furniture stand out. The large surface space is perfect for all sizes of televisions. Two shelves for media and games consoles and 2 spacious cupboards on either side for accessories and equipment storage. We have more furniture available in our Stanford Range that will fit comfortably into the living room, hallway or bedroom. 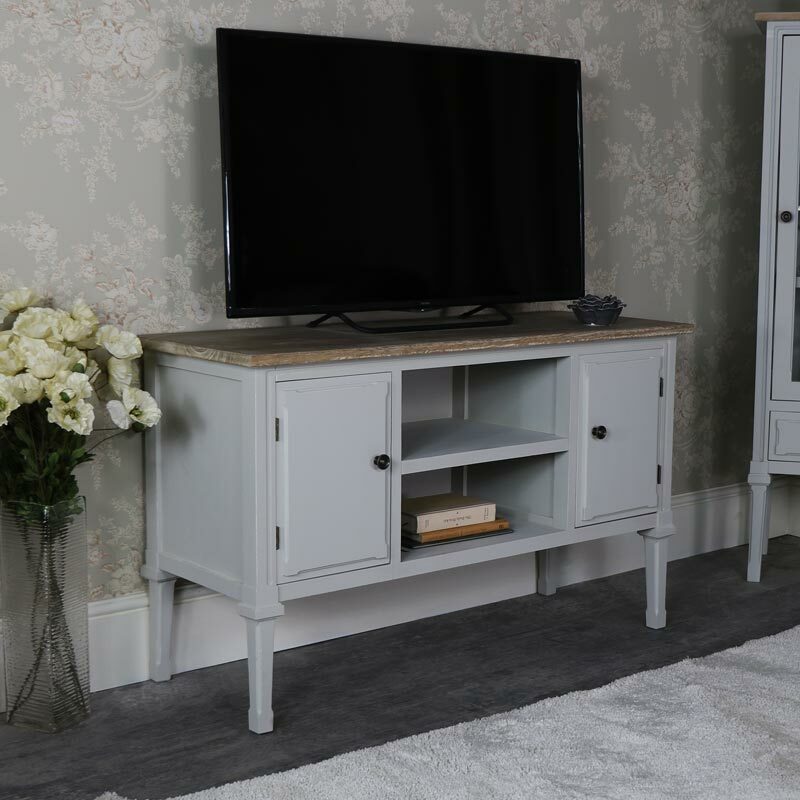 This is our Stanford Range TV cabinet, stunning vintage grey living room furniture. In a large design with space for media storage. 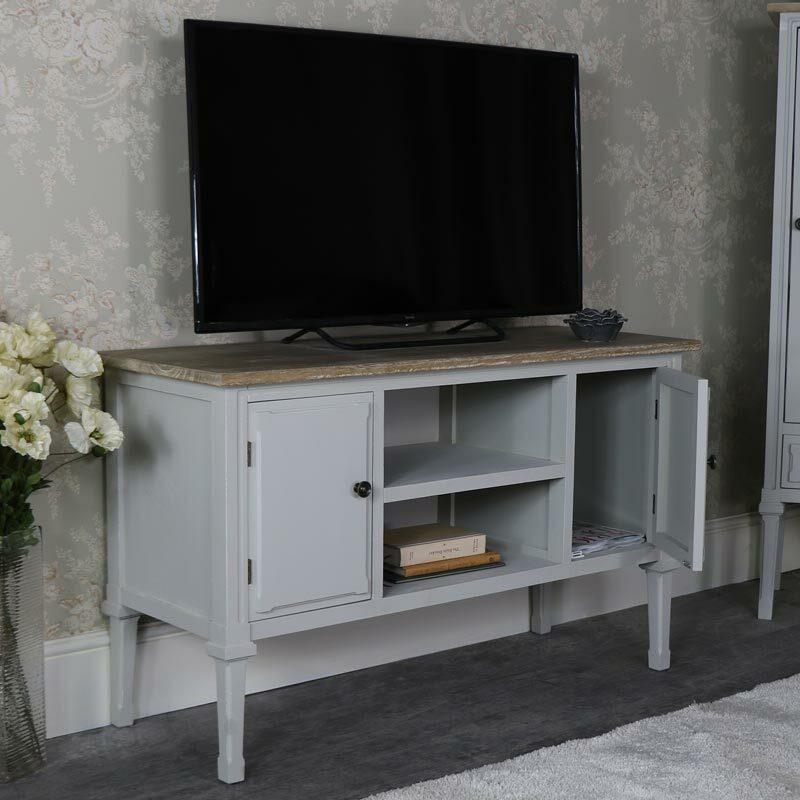 With hints of shabby chic this TV unit will add a vintage, modern feel. Featuring clean and clear lines that make this furniture stand out. The large surface space is perfect for all sizes of televisions. Two shelves for media and games consoles and 2 spacious cupboards on either side for accessories and equipment storage. We have more furniture available in our Stanford Range that will fit comfortably into the living room, hallway or bedroom. Made from wood and painted in a grey colour with limed wood finish top. 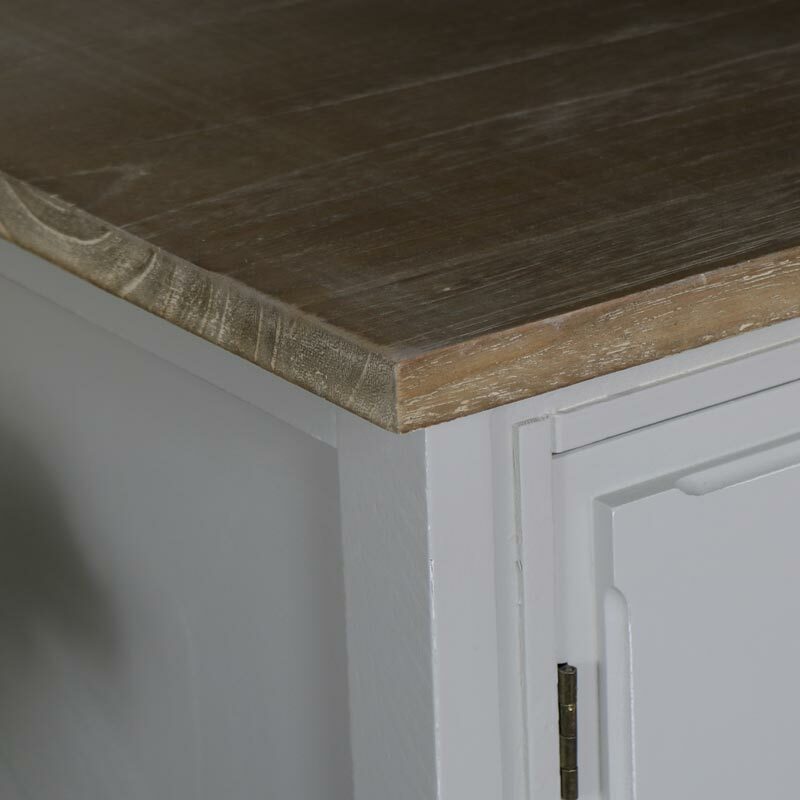 The TV cabinet comes fully assembled with ample space for storage. With a fantastic range of furniture at your fingertips, let us help you to create just the look you want for your home, With a huge selection of colours, styles and finishes.